I need to branch out more. 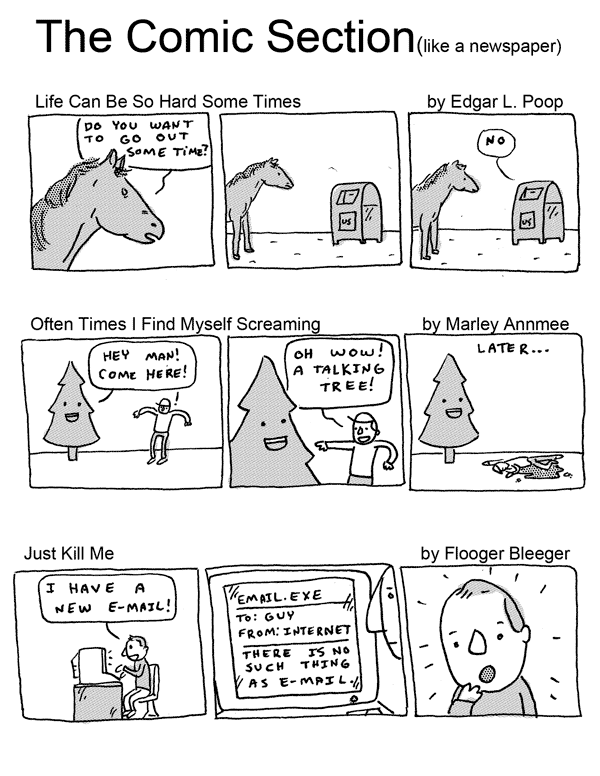 That’s why the next seven comics will be about trees. Also, I have just decided that those last few sentences are for real. Hilarious. I’m loving your type of humor which is quite indescribable.